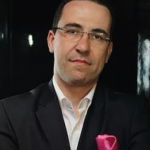 Michalis Kosmopoulos is a partner at Drakopoulos Law Firm Greece. Michalis is a distinguished IP and Customs expert, well known in the global legal community, heading the firm’s IP department across South East Europe. Having dealt with a vast array of customs matters over the years, he has gained valuable experience in serving domestic and international groups, both at the national and cross border level, advising on all areas of contentious and non-contentious Customs law.